Rob Macmillan, Nick Acheson and Bernard Harris, editors of the international Voluntary Sector Review journal, present 8 tips for submitting a strong paper. 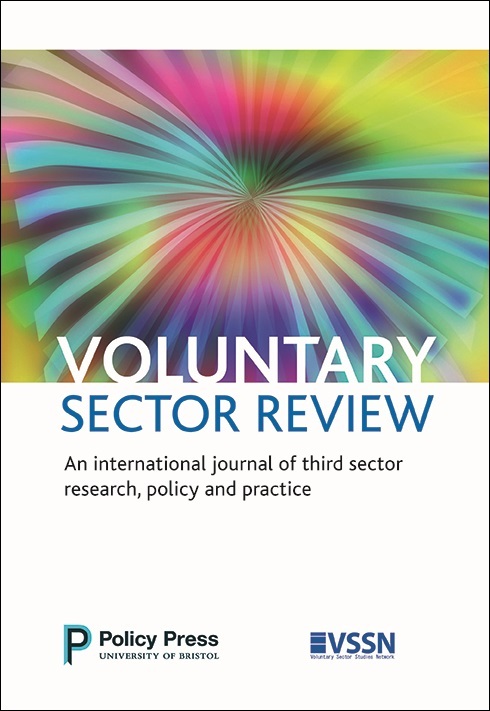 As editors of Voluntary Sector Review (VSR), we attract a wide range of international article submissions, covering the whole range of topics around voluntary and community action, non-profit organisations and civil society. We often reflect on what makes for a strong paper. Full-length research articles in VSR, normally no longer than 8,000 words in length, may focus on empirical findings, methodological issues, scholarly or theoretical inquiry, and applied analysis of relevance to practitioners and decision makers. We welcome submissions from all parts of the globe, and encourage all of our authors to highlight the international implications of their work. We know that the whole process of submitting a paper can be daunting and onerous for authors – something you’ve been working on for a while has finally been given over for an external judgement of its potential value. Preparing a good paper for submission is an art rather than a science, and through our experience as editors and authors we have drawn together a list of eight helpful points to consider before you submit your paper. 1. What is the paper about and why is it important? Be very clear on what the paper is about, starting with a clear statement of the issue that it addresses, together with an explanation of why the issue is of interest to and important for readers of the journal. You need to provide good reasons for readers to read on and subsequently remember your article. Embed the issue the paper addresses in the relevant literature, with a critical understanding of the most important and influential previous articles and books in this area. Make sure you set out clearly the intellectual, theoretical, policy or practice context that informs the article. Where you are reporting empirical findings, make sure the research design, data collection methods and analysis techniques used are described in sufficient detail for readers to be able to understand how the study might be replicated, and on what basis the conclusions are being drawn. Where prior literature provides the basis for the article (in addition to or instead of empirical findings), explain how it was sourced, selected and reviewed. Set out the key findings relevant to the issue addressed in the article in a systematic way, relating them to earlier work covered in the literature review. Authors often try to say too much here, overloading their submission with empirical findings such that the point of the article is obscured in empirical detail. Identify the extent and ways in which the findings and discussion contribute to new empirical knowledge about the issue or better theoretical understanding of the topic. There is a balance to be struck here: be confident in the conclusions you draw, but don’t overstate the case. Draw out the implications of the study for future research, policy or practice – in the country which is the primary focus of the article, but also more broadly where appropriate. Finally, check to see whether there is a clear, well-signposted, structure and thread of argument running through the paper, so that readers can quickly gain a secure sense of the paper’s development from introduction to conclusion. On receipt of a submission, we will always make an initial editorial judgement before we send a paper out for review, and we may ask you to revise the paper before doing so. We encourage reviewers to provide constructive feedback to authors in order to help improve papers, and we will provide guidance on how to proceed if the decision is one of ‘revise and resubmit’. The peer review process can be exacting but it is rigorous and invariably leads to better quality papers. We would encourage you to get in touch if you have an idea for a paper but are not sure of its suitability. We’ll always aim to provide helpful guidance, though, of course, we cannot provide any guarantees of publication. If you would like to submit a paper you can find the Journal’s aims and scope, and instructions for authors on the Voluntary Sector Review website. You will also find further information about submitting Policy and Practice articles, along with details of the relevant editors for these sections.